Our chapel provides multiple functions. Mass is said daily at 10:30 am Monday through Saturday. An evening prayer service is offered at 6:00 pm Monday through Friday. 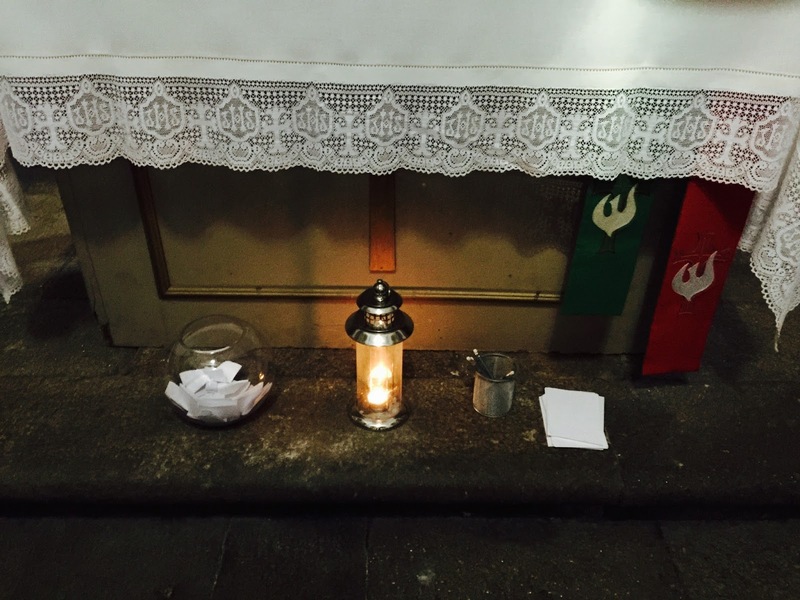 But it also serves as place where written petitions, remembrances and/or prayers that have been brought to the cathedral can be left behind to be included in the daily mass prayers throughout the six month period when the chapel is open (May-October). We have already collected several hundred of these and the number will continue to grow into the thousands as the pilgrim season moves forward. Initially, I thought that it would be only the English speakers, who knew of the chapel and its English language services, who would be the ones leaving petitions, but no. It seems that somehow the word has circulated and now people from many countries, who are not English speakers, want to leave intentions and petitions as well. Of course all are welcome, and so they continue to arrive at the chapel, pick up the pencils and paper that are available, move to a chair and put down their thoughts. Perhaps it is a personal desire to leave something that will be blessed after their departure or it may be a promise fulfilled, but whatever the reason it is always humbling, and heart warming, to see this devotion. We all have people, who are close to us, who have experienced the worst that life can offer. As human beings our compassion and prayers flow out to them in their brokenness. However, it is also during this time of brokenness that small cracks can appear in the shell of our self reliance where God’s light can shine through pushing back the darkness and illuminating a path to healing, hope, and peace. 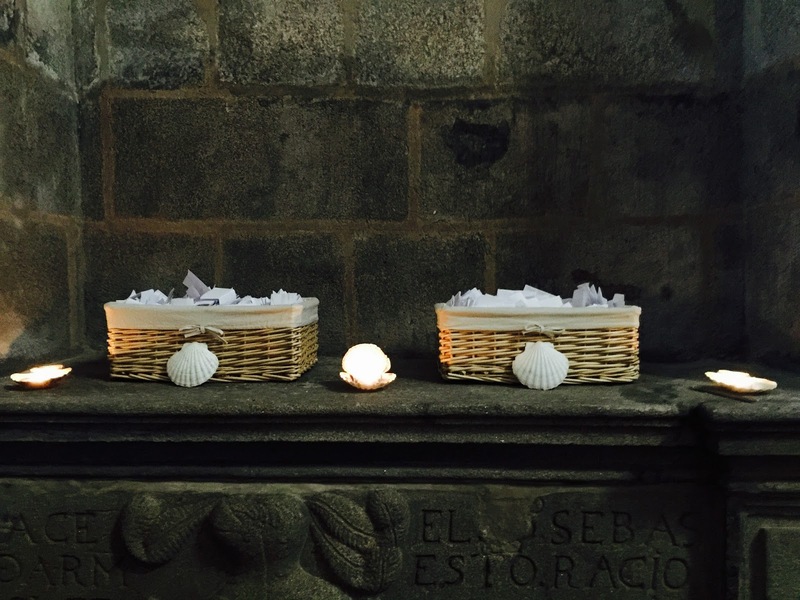 It is with these thoughts in mind that we are happy to welcome whoever arrives at the chapel gate, with warm hospitality, and compassion, for the burdens they carry can be enormous.